Did you know that today is National Peanut Butter Day? 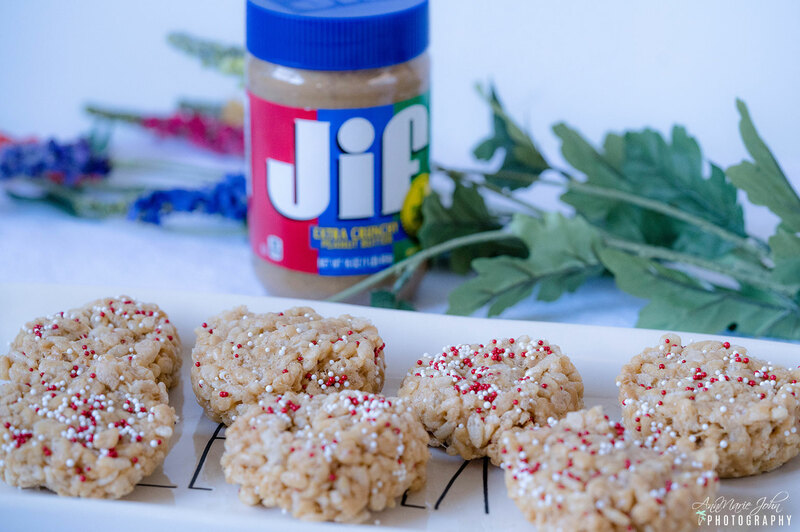 In collaboration with Jif, I want to share with you our Peanut Butter Crispy Treats. This is a sponsored conversation written by me on behalf of The J.M. Smucker Company. The opinion and text are all mine. As a mother, there are days when I just want to sit back and relax. However, when you have kids it's almost impossible to do so. While on vacation over the holidays, Madison and I have gotten so much closer, and not just because she's the youngest, but because she's so kind and generous. She's always willing to lend a helping hand. As you may know, I recently fractured my elbow, and while the kids are ok helping me with the everyday stuff that I can't do myself, there are times when you can see the frustration on their faces as if to say "get well already", but not Madison. She would come to my room to ask if I need something to drink or even to eat. One snack that she makes on her own is PB&J sandwiches, and I always make sure to have enough of them on hand. 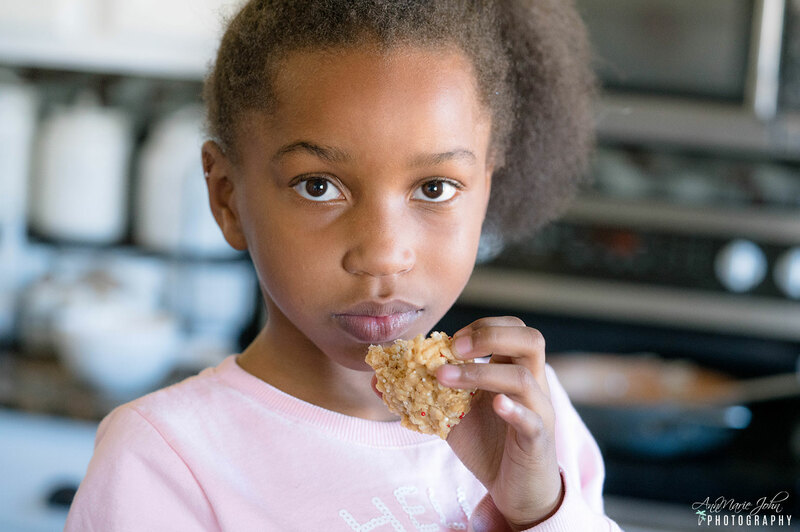 Over the weekend with her big sister at home, they decided to make Peanut Butter Crispy Treats. Apparently, they found a few of my silicone heart molds that I keep around and decided to make them especially for me. 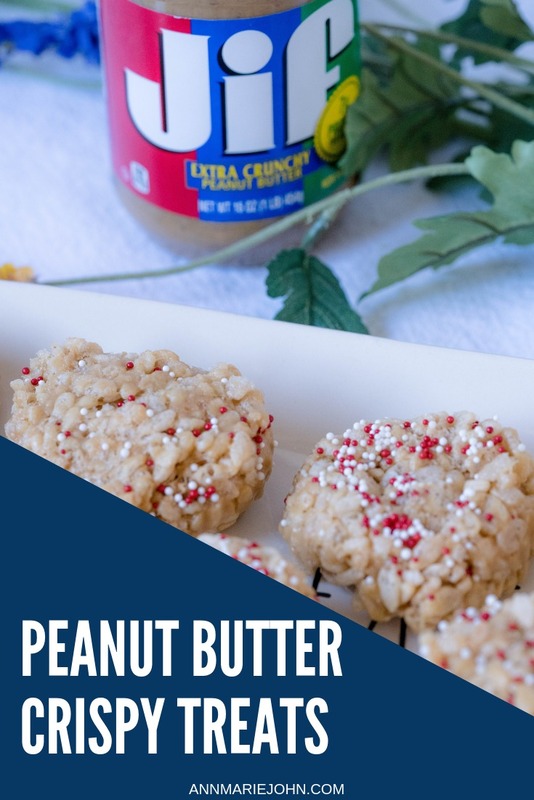 Not only are they delicious, but they're so easy to create that you'll have a blast making them at home with your own kiddos. Melt your butter over low heat in a pan. 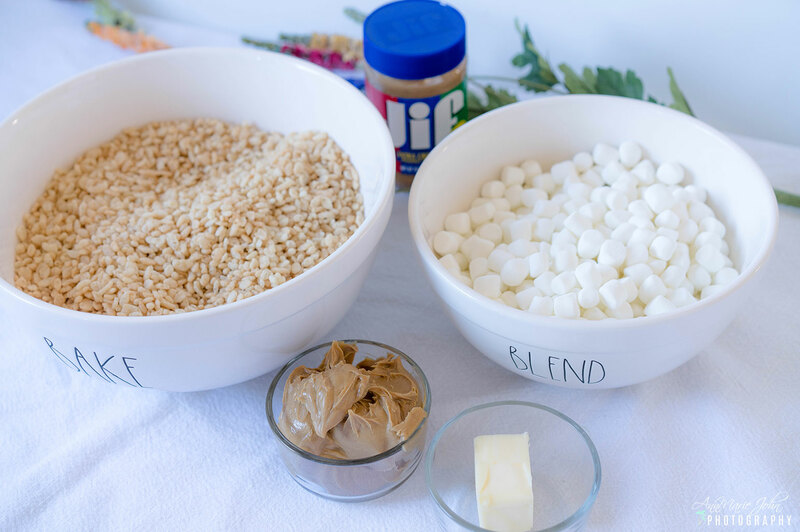 Once melted, add your marshmallows and stir until marshmallows are melted completely and no lumps remain. Add your crispy cereal and stir until they are well coated. If you have a silicone mold you can add your mixture into the mold and shape as desired. If not, simply place it in a 13x9 pan and wait for it to cool before cutting into squares. Enjoy this National Peanut Butter Day! This is a sponsored conversation written by me on behalf of Jif. The opinions and text are all mine.